Swift ​​Navigation​, ​​a ​​San ​​Francisco-based ​​tech ​​firm building centimeter-accurate ​​GNSS ​​technology and a Cloud-based Corrections Service​​ designed to ​​power ​​a ​​world ​​of ​​autonomous ​​vehicles, ​​today ​​announced ​​the latest ​​firmware ​​upgrade to ​​its flagship product—the PiksiMulti ​​GNSS ​​Receiver. This marks the sixth major release to Piksi Multi since it was launched in February 2017 and the upgrade is available free of charge to Swift customers, according to the company. ​​The firmware release also enhances Duro, the ruggedized version of the Piksi Multi receiver housed in a military-grade, weatherproof enclosure ideal for long-term outdoor deployments. Firmware Release 2.0 for Piksi Multi and Duro supports two additional major satellite constellations—the Chinese constellation (BeiDou B1/B2) which once completed will contain 37 satellites, and the European Union-based constellation (Galileo E1/E5b), which will eventually consist of 30 satellites. Adding to the existing GPS, GLONASS and satellite-based augmentation system (SBAS) constellations already supported by Swift’s GNSS receivers means that users will have more access and visibility from satellite systems across the globe. Piksi Multi’s performance will further improve over time as the total of 136 satellites planned for these major constellations are fully deployed. The addition of BeiDou and Galileo constellations creates more robust positioning performance in a variety of challenging skyview environments and puts Piksi Multi on par with leading industry receivers costing significantly more, according to Swift Navigation. With this 2.0 release, Piksi Multi is feature complete and Swift’s engineering team has delivered on planned product features on the Piksi Multi Product Summary. MSM Messages 4-7—The ​​new ​​firmware ​​adds support for RTCM 3.2 Multi Signal Messages (MSM). Though Swift devices already support RTCM 3.1, the addition of MSM allows for another flavor of differential corrections supported by BeiDou and Galileo, while also supporting both GPS and GLONASS with MSM new messages. MSM also allows for interoperability with other existing third-party GNSS receivers for all modern signals and constellations. Fix Improvements—Firmware 2.0 provides Piksi Multi and Duro improvements on fixing in long base lines in poor atmospheric conditions, making the devices more resilient to Ionospheric effects during periods of high Ionospheric activity. Higher Baud Rate Support for UART—New baud rates were added including 460800 and 921600. Acquisition Improvements—Enhancements made allow Piksi Multi and Duro to power on to a usable signal more quickly and acquire satellites in start-up mode faster, by several seconds. Added Kapoor, “Swift’s vision of making GNSS devices that are centimeter-accurate, with fast RTK convergence times and robust positioning performance all at highly-competitive prices has come to fruition. 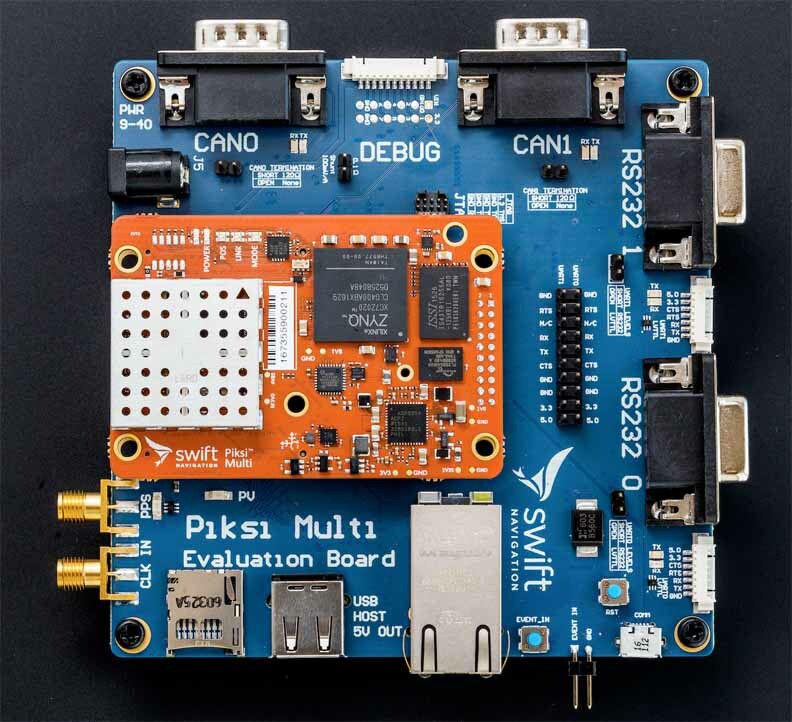 With Piksi Multi feature complete, we look forward to adding to our line of products with additional offerings later this year.” ​ ​​For ​​detailed ​​instructions ​​on ​​how ​​to ​​upgrade ​​your ​​Piksi ​​Multi ​​device, ​​refer ​​to ​​the Getting ​​Started ​​Guide entitled ​​​Piksi ​​Multi ​​- ​​Upgrading ​​Firmware​​​. ​​For ​​firmware ​​release ​​binaries ​​and product ​​support ​​documentation ​​visit ​​​support.swiftnav.com​.